If you are engaged you may be considering whether to have a prenuptial agreement. Prenuptial agreements (also known as prenups) are more common nowadays for people from all walks of life who wish to plan and protect their financial future together at an early stage in their relationship. Prenups are not only drawn up in anticipation of a divorce. They are also put in place to protect the interests of the surviving spouse, or family, in the event of a death. A prenup is not right for everyone. If you are a young couple, with no children, marrying for the first time, with no property or significant assets then a prenup may not be necessary. If yours or your spouse-to-be’s circumstances are not so straightforward you may seek the reassurance of a prenuptial agreement to protect both of your interests and avoid disagreements later on in the marriage. Is a prenuptial agreement enforceable in court? What if you are already married? If you are already married a post nuptial agreement may be drawn up which is broadly similar to a prenup. 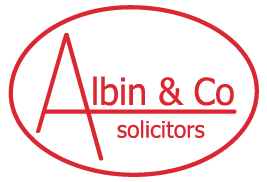 Call us on 0118 9574018 or contact us online to arrange a brief initial telephone discussion with one of our family solicitors. We can advise how much the prenuptial agreement will cost, usually a fixed fee, and how long the process will take. If you decide to go ahead the next step is an appointment with one of our solicitors. We’ll let you know what documentation you will need to bring with you. We will ask some detailed and personal questions but please rest assured your confidentiality is assured at all times. The solicitor looking after your request will draft the agreement after the meeting. This will take around a week. We will arrange a second appointment for you to come in and sign and witness the agreement.